The median home value in the San Francisco metro area was $764,600 last month, according to Zillow. That’s up 12% from a year earlier and more than four times the national median value of $180,800. The Federal Reserve might accomplish something in San Francisco that otherwise seemed impossible in recent years: cool down the hot housing market. 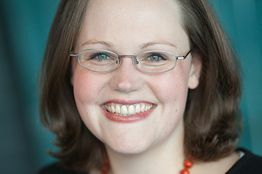 If the Federal Reserve raises benchmark interest rates later this year, one effect would likely be slower home-price appreciation in sizzling markets, including the Bay Area, Denver and Seattle, said Zillow chief economist Svenja Gudell. The median home value in the San Francisco metro area was $764,600 last month, according to the real-estate website’s data. That’s up 12% from a year earlier and more than four times the national median value of $180,800. Such rapid acceleration probably can’t persist once the Fed starts raising rates, Ms. Gudell said. A Fed rate hike is likely to put a small amount of upward pressure on mortgage rates. In markets where houses are selling for $200,000, that will have little effect on monthly payments and the overall affordability of homeownership. But a half-percentage point increase on rates is a lot more meaningful on a house that cost three-quarters of a million dollars. Q: Fed Chairwoman Janet Yellen recently said the housing market remains “very depressed” relative to job creation. Do you agree with that assessment? A: No, I don’t think the housing market is very depressed. I think we’re still in a recovery and there are some markets that are still struggling. But the national housing market is doing a lot better. 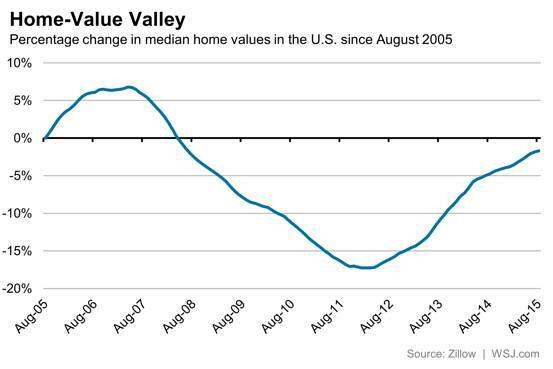 If you want to take the 2007 peak in national home values, we’re roughly off by 8%. I think we’ve gained most of the lost value along the way and some markets are doing incredibly well. There are still markets that are lagging behind and not doing well and some of them might never do completely well again. There might be structural shifts going on, like a Detroit for example. But overall I don’t think of the housing marketing as being very depressed. Q: If the Fed acts to raise rates by the end of the year, what effect will that have on mortgage rates, and ultimately the housing market? A: It depends on which market you’re in. If the Fed raises rates, and I think it’s very likely that the Fed will raise rates by the end of the year, you’ll see an impact on home values in markets like Denver, Seattle and San Francisco—very hot markets that are also very expensive right now. These are the markets where people are talking about being priced out, even on the high end. If an ever-increasing share of your monthly income is spent on a mortgage, and it’s much higher than it’s been historically, then it’s going to be an issue even if you only raise rates slightly. You’re going to have a hard time accommodating for that. We will see home values—they’re already softening—we’ll see a further softening in home-value appreciation in those markets. However, if you’re talking about a market that has head room to grow, [a rate increase] isn’t going to have a huge dent in that type of market. You’ll be better able to absorb the shock. Q: There was an acceleration in existing-home purchases in the first half of the year, followed by a step back in August. What’s your outlook for the remainder of the year? A: I think we’ll see further softening for the rest of the year in terms of existing-home sales. New-home sales have been depressed all along. We’ve been keeping an eye on those increasing. I think those will not come back to notable levels in the next couple of months, either. Q: What are some of the factors behind an expected slowdown in home sales? A: Certainly affordability, if you think about what it costs for you to buy a home, demand and where are you able to find a house that meets your needs at an affordable price point. Markets that are seeing very large increases in population and demand for housing also have very tight inventory right now. If you don’t have the homes to buy, it’s hard to increase existing-home sales. Q: According to Zillow data, about 27% of homes have decreased in value compared with a year ago. That’s above the historical norm of about 21%. What does that say about home-buyer preferences? A: These aren’t collapses in home values. A lot of homes will see slight drops and then see slight increases. It is pointing to a greater trend in terms of changes in preferences. We’re seeing very far outlying areas not being as high in demand as parts of the city that are closer into the core. Less demand and a lot of supply in those areas means home values are likely to decline.